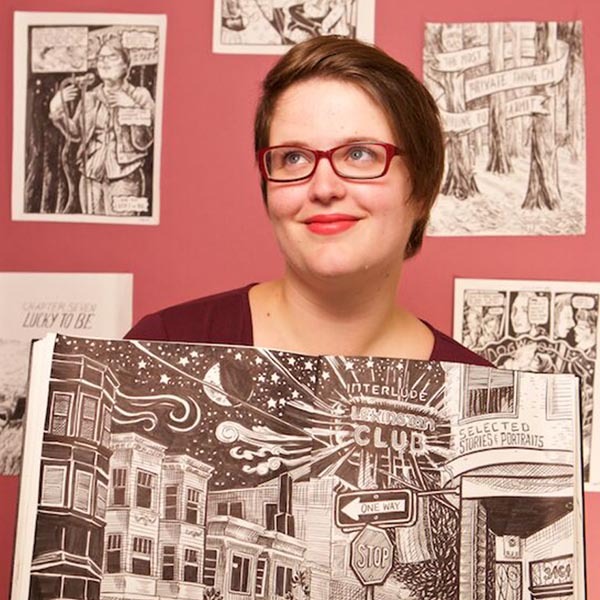 Elizabeth Beier is an Oakland-based graphic designer, cartoonist, and storyteller. She regularly performs at Bay Area storytelling shows and is a Moth StorySLAM winner. 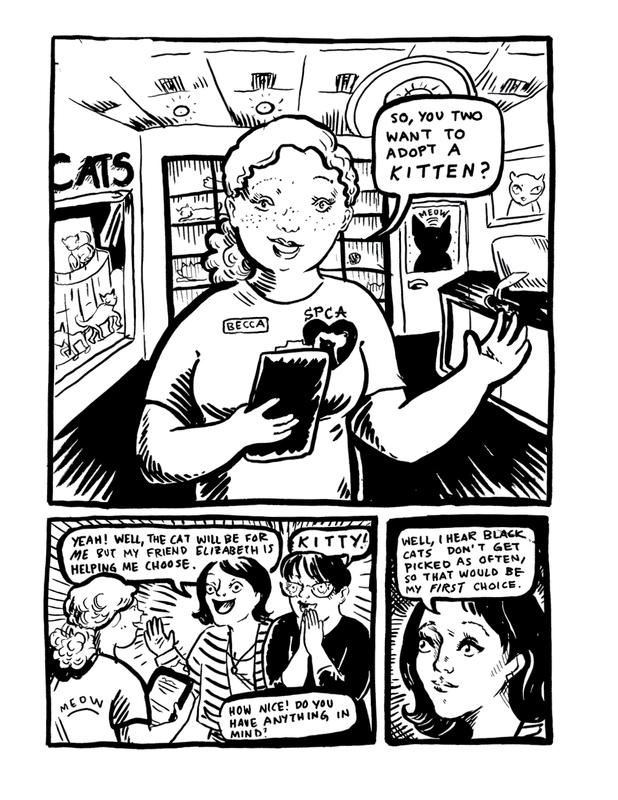 Her comics have earned press from SF Gate and MTV News, and she is a recipient of the 2016 Prism Comics Queer Press Grant. 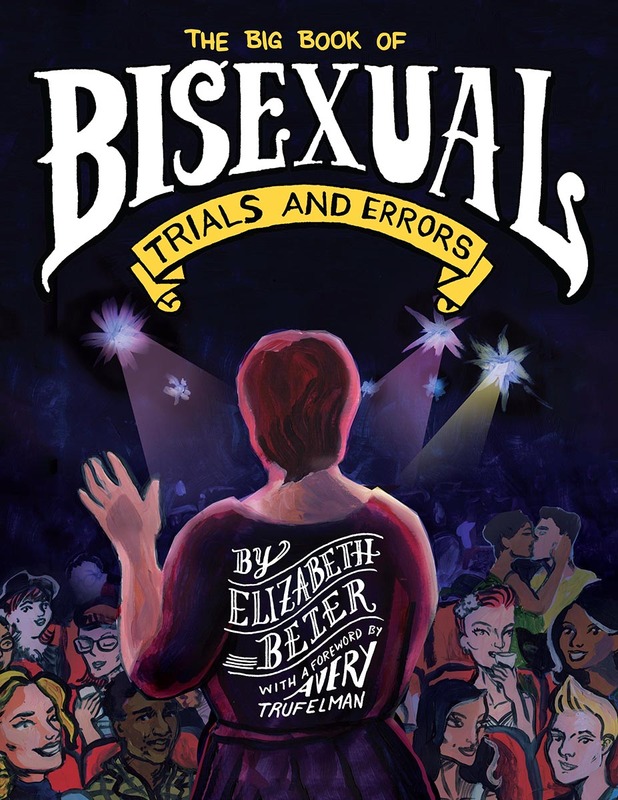 “The Big Book of Bisexual Trials and Errors by Elizabeth Beier details an authentic and honest queer experience. It’s not afraid to be frank and intimate with its readers. The artwork clearly comes from a very personal place and lets readers feel right at home in the story.” Read Kelsey McConnell’s review on Comicsverse. 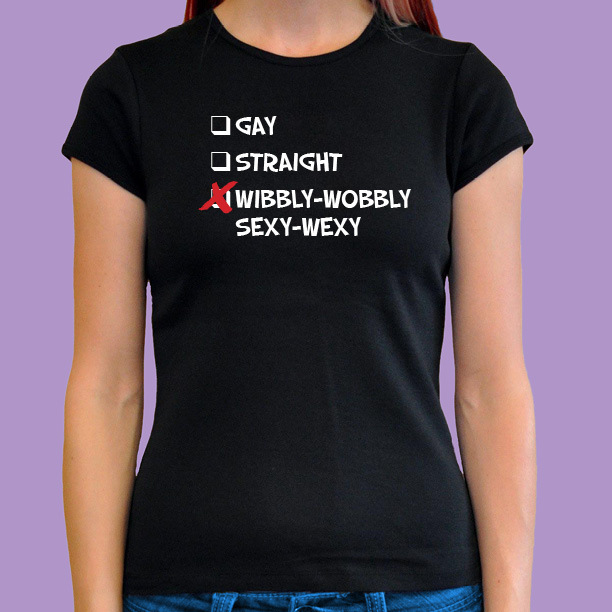 “…wanting to find love, acceptance is truly trial and error, no matter the gender or orientation. 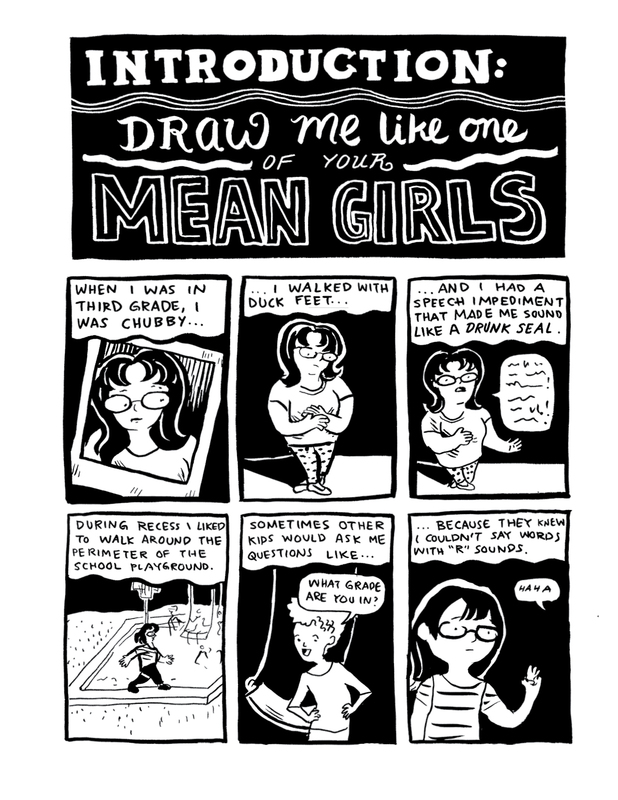 I really liked how a good section of this story is about Elizabeth figuring out herself, she always thought she needed to be thin or look a certain in order to be loved. 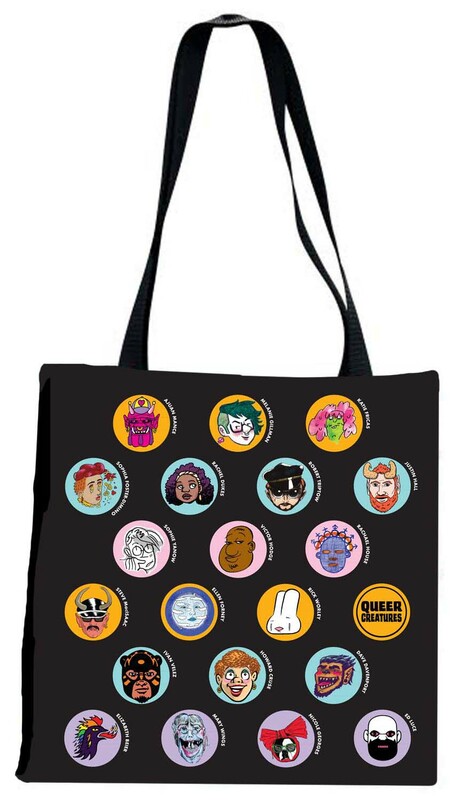 Seeing her on that journey was very powerful to me.” Read Patti Martinson’s review on Sequential Tart. “I got a chance to interview Beier on her raw, emotional, and honest book, one that in full honesty spoke to me on a deep and personal level. 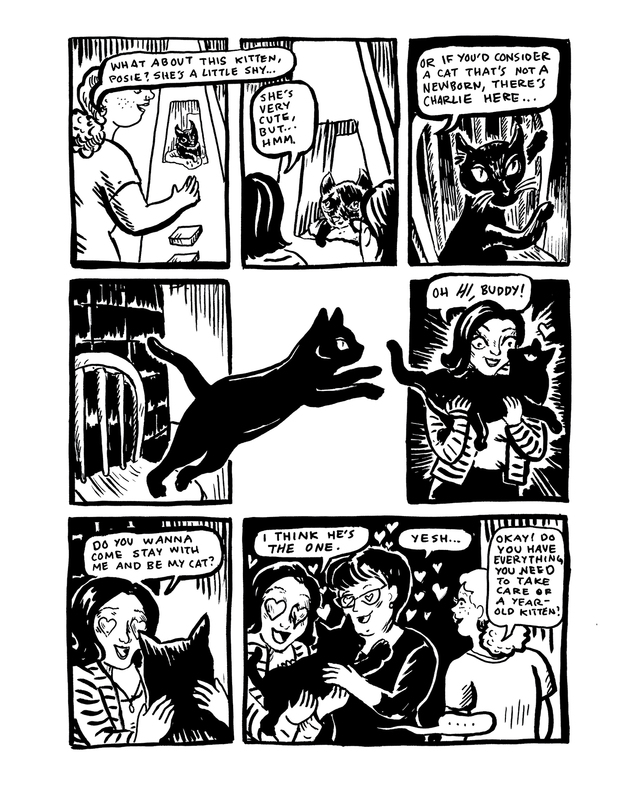 Anyone exploring new personal or sexual territory will see themselves in Beier’s honest prose and stark artwork.” Read Nadia Shammas’ interview with Elizabeth Beier on Comicosity. “Elizabeth herself sounds like the kind of person I would love to hang around with. This memoir of one section of her life is so honest, you can tell she has reflected onto this a lot. 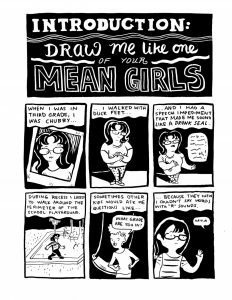 She obviously put a lot of time into this graphic novel since she is both the artist and author. 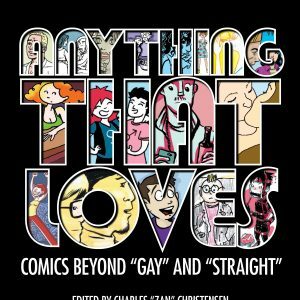 The great part is that even if you yourself are not bisexual, this book is incredibly relate-able.” Read Markie’s review on What a Nerd. “Overall, a compendium full of heartbreaks, self-discoveries and truly a lesson in learning how to be building one’s self confidence. 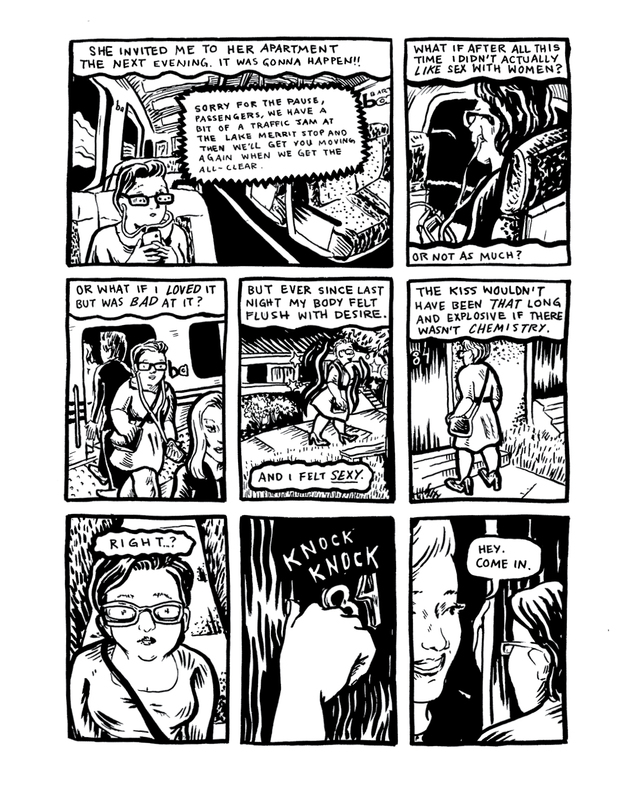 The stories by Beier are funny, sad, beautiful, and intriguing. The art by Beier could be museum paintings, as each panel seems to be given much care. Altogether, you will feel for Beier’s journey in this memoir, as the journey to “you” has never been told so eloquently.” Read the whole review on Graphic Policy. 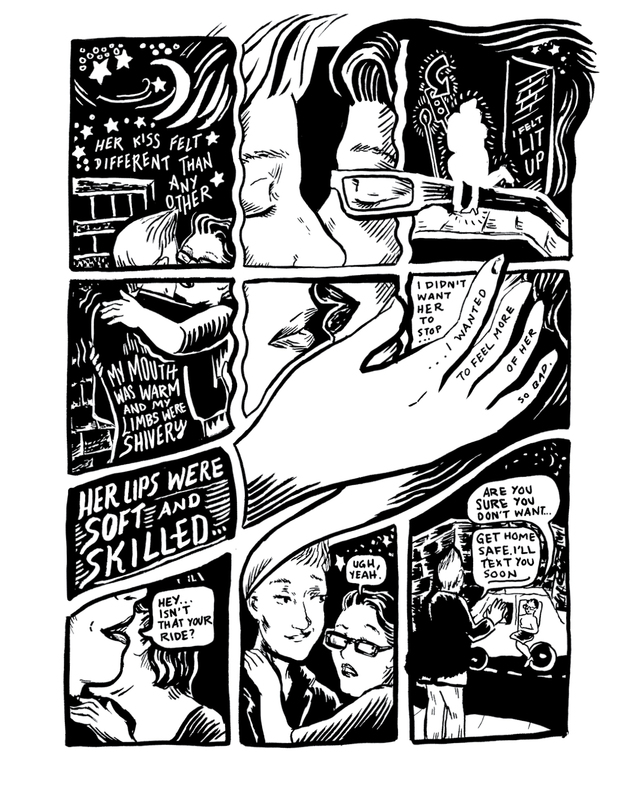 “With simple and stark black and white drawings, this graphic novel anthology truly deserves to be on the bookshelf of every bisexual woman who loves queer indies.” Read the whole review on Bisexual Books. 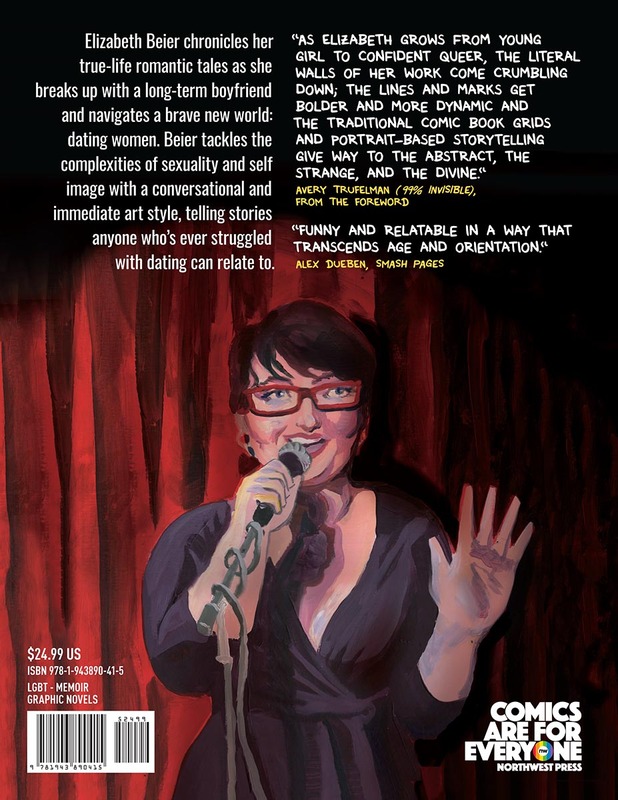 “Where the story really shines is seeing her come to terms with who she really is in all aspects beyond sexuality—confidence, self-esteem, body image, and talent.” Read the whole review on GED: Gay Entertainment Directory. “When Beier flies, she soars. A fantastic first book and here’s hoping that she’ll soar even farther now that she appreciates her own wings.” Read Erica Friedman’s review on Okazu. 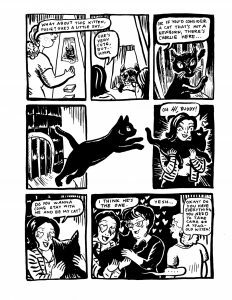 “This is a definite recommendation if you’re a fan of Lucy Knisley or Ellen Forney, and Beier is a cartoonist to keep an eye on. 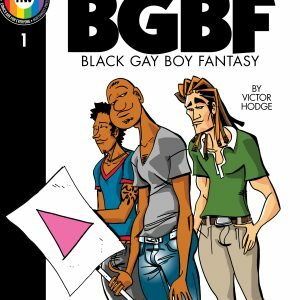 The Big Book of Bisexual Trials and Errors is a great addition to the canon of queer comics, as well as to the body of bisexual representation.” Read Greg Baldino’s review on Bleeding Cool. 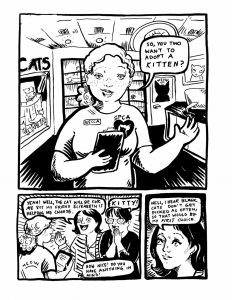 “The quality is uneven—running the gamut of sophistication from a hastily sketched 24-hour comic to a penetrating visual chronicle of the final days of the Lex, San Francisco’s last lesbian bar, which closed in 2015—but a more polished tell-all might not be so funny, lively, or roughly honest. This raw chronicle is a dispatch from the front lines of modern app-assisted dating.” Read the full review in Publishers Weekly. “Eventually, she meets someone wonderful, but that happiness is paralleled by her growing maturity. Instead of hating the changes in her body size, she learns to love herself, and to judge herself less.” Read the full review by Cathy Camper on Lambda Literary. “All in all, I really liked this—Beier is an excellent storyteller, and I’m impressed at how she managed to combine such a storytelling flow with moments of humour and real, intimate, self-reflection, while the bold inks of the visuals bring everyone she meets to life, including her own self-confidence in the final pages. 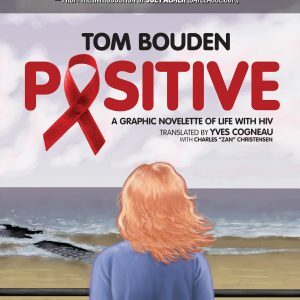 While I personally could only identify with one or two elements of the whole, I felt totally swept along by the journey—as though I understood what she was telling me without having to try or labour the point; the mark of a good autobiographical tale.” Read the full review on Pixel Pop Network. “As the narrative progresses, the captured-in-the-moment panels become more intentional, liberally fleshed-out with decorative embellishments to enchanting effect. 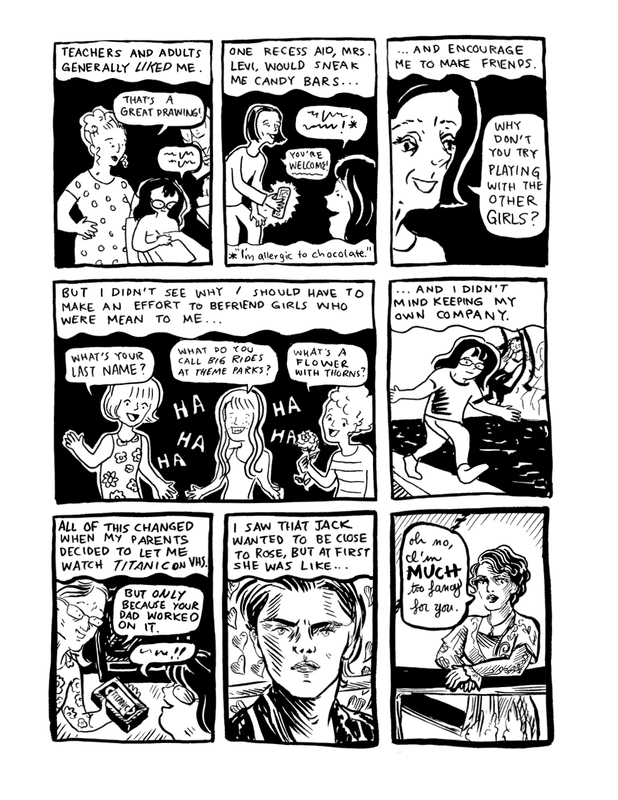 It is always rewarding to follow a cartoonist’s artistic trajectory as captured in a collection like this; though rendered with more care in later chapters like ‘Shiver Me Tinders’ and ‘Smoother’, Beier’s visuals remain personal and evocative—not just pretty pictures.” Read Rob Kirby’s full review in The Comics Journal.